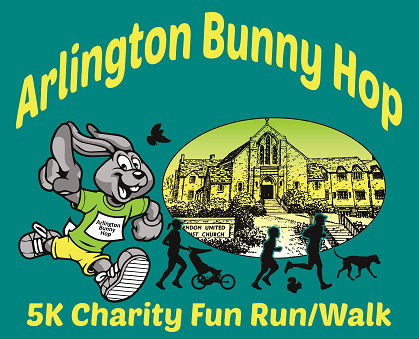 Join us for the second annual Arlington Bunny Hop Charity 5K! Run or Walk through our beautiful neighborhood as we hop into the Spring season. The 5k will begin at 8:00 am Saturday, April 27 in front of the Clarendon United Methodist Church (606 N Irving St. Arlington, VA 22201). **Online registration will close on Tuesday, April 23 at midnight. In person registration will be available during packet pick up on Thursday and Friday, April 25 & 26 from 12:00-8:00 pm and then on Saturday morning from 6:30-7:30 am. Prices increase on April 1- register early! Registrations will be capped at 2000! Unfortunately, there are no refunds for this event. We also do not accept transfers or deferments for this event. Remember all proceeds go to Arlington charities - your donation is appreciated. Race participants will be guaranteed a commemorative race shirt if registered before Monday, April 8. Shirts will be first come, first served after the deadline. Medals will be awarded to the 1st and 2nd place overall male and female finishers, as well as the 1st and 2nd place male and female finishers in the following age groups; 6-10, 11-15, 16-20, 21-29, 30-39, 40-49, 50-59,60-69 and 70 & Over. Overall awards will be based on "gun" time and age group awards on "chip" time. So if you're competitive for an overall medal, please line up at the start. 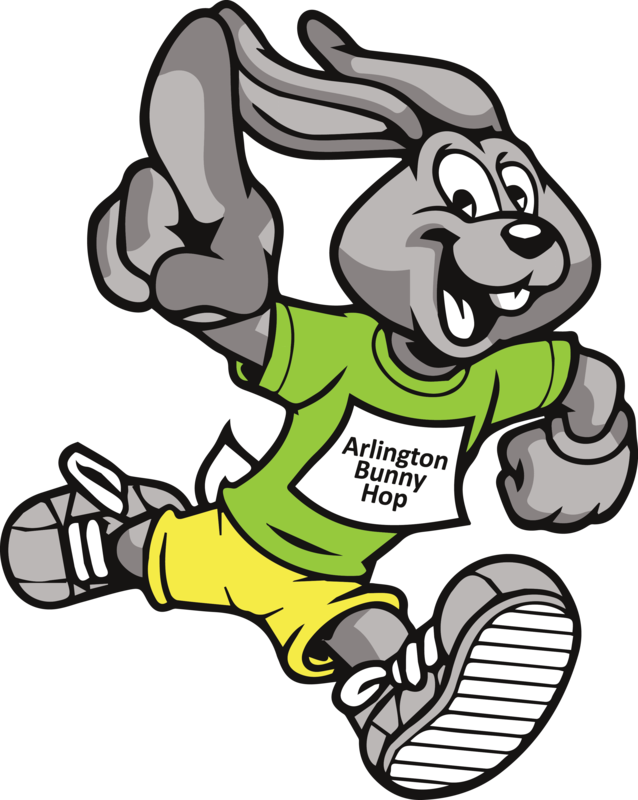 The mission of the Arlington Bunny Hop 5k is to provide an opportunity for people of all ages to enjoy a fun, healthy, spring weather activity together and to raise support for local Arlington charities: The race is an Outreach mission of the Clarendon United Methodist Church. All net proceeds from the race will be donated to Bridges to Independence. Proceeds come from registration fees, donations and sponsors. Additionally, several businesses have provided support in the form of donated services and loaned equipment. Join us for a romp through the historic and eclectic Ashton Heights neighborhood near Clarendon.